Hi there, my darlings! 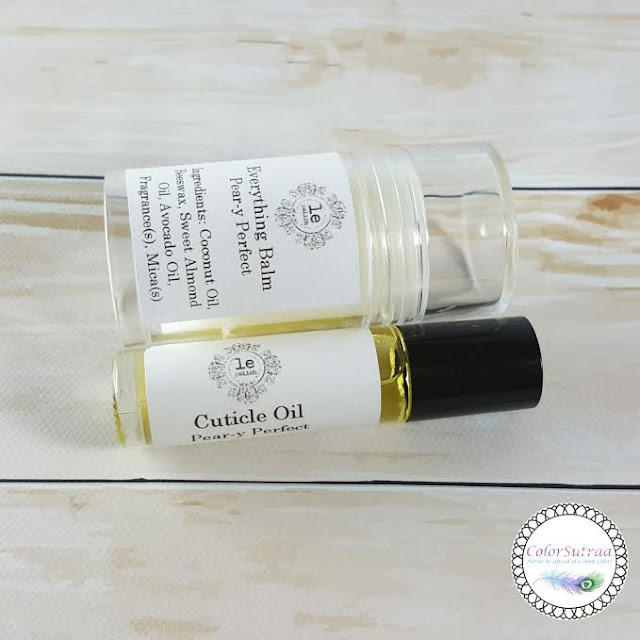 Before we wrap up our featured series with Allison of Le Polish, I'd like to share a couple of nailcare products she sent--a multi-purpose balm called her "Everything Balm" and a cuticle oil in a matching scent. About the scent : a crisp fruity scent. This option contains a subtle shimmer to give you a glow a lot of us need in winter. IMPRESSIONS : LOVE! Love, love, LOVE! I don't know why I don't have a million of these push-up tubes stashed all over my life. I've been using it on my elbows, knees and heels--you know, those rounded, hard-to-reach places that are the first to be ravaged by the cold? Yeah, those places and my skin looks and feels much better! Super moisturizing without being greasy, this is the perfect balm to slather on right before bed. And the scent? Fruity goodness that's right up my alley! CUTICLE OIL in Pear-y Perfect : A nourishing blend of oils designed to deliver the maximum amount of moisture to your cuticles. Using cuticle oil daily will help your nails grow long and strong! About the scent : a crisp, juicy scent, perfect for those that like a fruity fragrance! IMPRESSIONS : I've honestly grown out of love with cuticle oils, preferring hand creams and cuticle balms to the often greasier oils. But, if you have really dry skin and prefer oils, this is a great option! Fast absorbing, my skin pretty much drank this stuff up! Fragrance allergies? No worries! Allison has an Unscented option for you! So there you have it, my darlings! 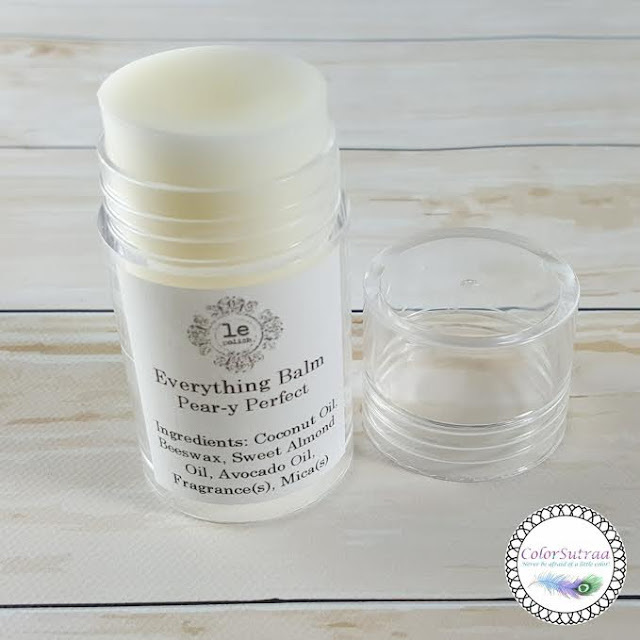 Both the Everything Balm and the Cuticle Oil can be found on Le Polish's website HERE. Prices are pretty reasonable in the $6-7 range. Winter cold wreaks havoc on my skin,especially my hands/cuticles. I've tried lotions,oils,etc and still my cuticle looks like a gerbil has been chewing on them! Lol. Might have to grab some of this balm!